Winter is a time for snow sports in northern New England. Skiing is a great way to enjoy the winter season and stay in shape. However, it can be very risky when you have not prepared physically for hitting the slopes. The possibility of back injury is greater especially because skiing is a sport that requires abrupt twists and jerks of the spine. Just as most people are not trained skiers, they also do not know the correct way to fall. Even for a seasoned skier like Meredith, a patient at NH NeuroSpine Institute, a fall can really cramp your ski season style. As an avid skier, Meredith not only provides lessons and started skiing when she was two, but typically prides herself on getting physically prepared for the upcoming season. 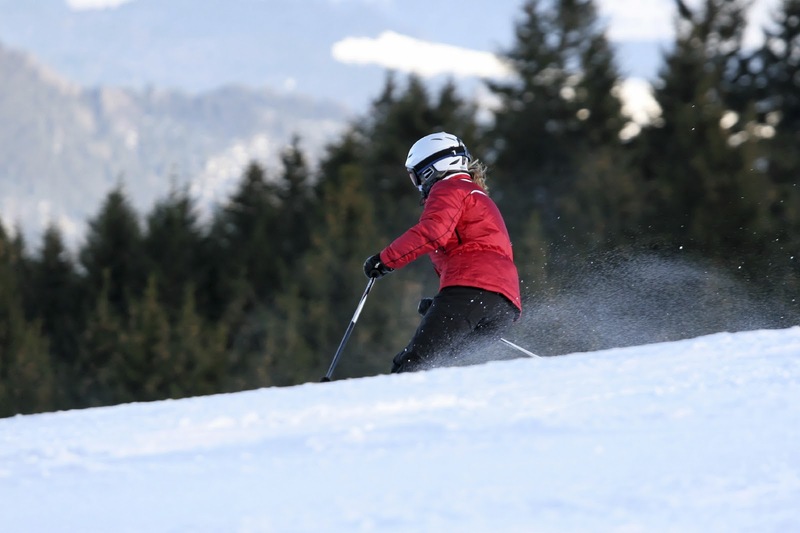 “I’ve been skiing for twenty years but I admit I haven’t been putting enough time into preparing myself for the ski season over the last few years.” During the 2011 ski season, Meredith had a severe fall resulting in an injury to her spine. She realized she was likely done for the season. When she began experiencing predominantly low back pain with some minor radiating left leg pain, she was sent for an MRI. The MRI results confirmed a disc pathology, and she was scheduled with Dr. Thomas J. Kleeman, Orthopedic Surgeon at NHNSI. “I was unable to do any of my usual activities. Typically I weight train and bike in the off season. I was just hoping that at some point I was going to be able to return to those things.” After reviewing the physical examination and the MRI results, it was determined that Meredith could benefit from conservative treatments rather than surgery. Dr. Kleeman worked in collaboration with Dr. Aron Jeffrey, Physiatrist at NHNSI, to create a recovery plan specific to Meredith. Since NHNSI is able to offer most treatments in house, they could monitor her progress closely. She was scheduled with the physical therapy department and set up for an epidural steroid injection. The goal was to start the physical therapy and once Dr. Jeffrey completed the injection, she would have some pain relief. Meredith could start some aggressive exercise with a physical therapist present to monitor. “After my second injection I started to feel better, and once I was able to work aggressively with the therapist, I was able to start resuming some of my activities.” Meredith’s treatment needs were reviewed and evaluated at every visit, and with the collaboration of treatments, she was back to completing everyday activities. Remember, if you are planning to ski, you should start training about six weeks prior. Once at the slopes, be sure to stretch your muscles prior to slipping into those skis. Be sure to stretch the arms, as well as the legs. Keeping yourself fit will help prevent injury with any activity. However, if an injury does occur don’t be discouraged. With the proper treatment plan, you will be back to the activities you love in no time.